Notice: Effective June 13, 2018 all new Personal Protection Orders will be required to be filed through "MiFILE."  The Macomb County Clerk and Turning Point, Inc., applied for a state Victims of Crime Act (VOCA) grant to help fund and establish the Personal Protection Order (PPO) Assistance Center. The VOCA grant funds come from fines and penalties levied against criminals convicted of federal crimes. The PPO Assistance Center helps citizens complete the PPO forms which assists the circuit court staff in processing the forms quickly and helps judges in determining whether to grant the request. What is a PPO (Personal Protection Order)? You must demonstrate to the Court that this person is interfering with your personal liberty or has threatened to or has committed violence against you. (2) Non-Domestic Stalking PPO – when the person you want protection from has engaged in a pattern of two or more non-continuous acts, without your consent, that make you feel threatened, harassed, frightened, or molested. (3) Non-Domestic Sexual Assault PPO – when the person you want protection from has been convicted of sexual assault against you or subjected you to, threatened you with, or placed you in reasonable apprehension of sexual assault, or if you are a minor child furnished you with obscene material. Note: You may not get a PPO against your minor child. Likewise, a minor child cannot obtain a PPO against a biological parent (unless emancipated). In these cases, contact the Juvenile Division of the Macomb County Circuit Court at 586-469-5195. How do I serve a PPO? The PPO Assistance Center is run under the direction of Turning Point, Inc., a non-profit corporation that is not a Macomb County government department. Turning Point holds the belief that all people have the right to a violence-free life. Turning Point recognizes the importance of empowering people and working to end violence by providing counseling, support, advocacy, and a safe haven. They are committed to improving the lives of victims/survivors of domestic violence and sexual assault through advocacy for changes in the “systems” and through community collaborations.